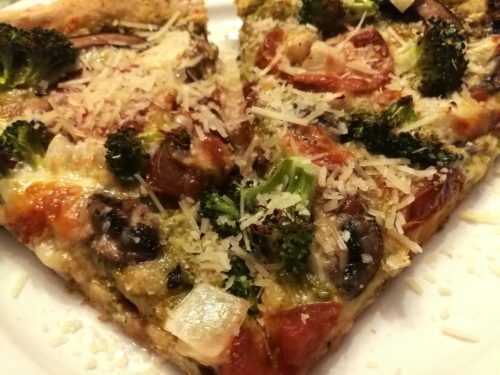 Broccoli Mushroom Tomato Pizza. Vegetable pizzas are my favorites. I do like a good meaty pepperoni and gooey cheese pizza now and again. But piling veggies onto pepperoni just overpowers the pepperoni taste. I like my vegetable pizzas with just vegetables and a bit of cheese. 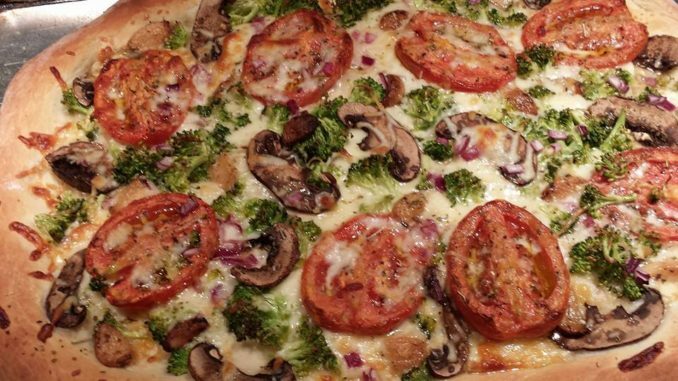 My Broccoli Mushroom Tomato Pizza is colorful, chock full of veggies, and good for you. 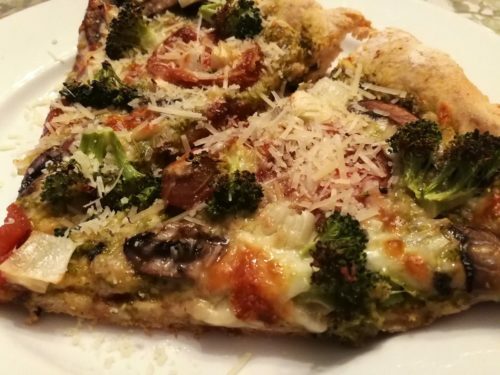 Fresh broccoli florets, sliced mushrooms, ripe tomato slices, shredded mozzarella, roasted garlic cloves, finely diced purple onion and shredded Parmesan cheese dress this vegetarian pizza. A brush of olive oil on the crust acts as a light pizza sauce. You could use a light layer of pesto on the crust as well. You may want to blanch the broccoli florets so they will stay a nice bright green while you are baking the pizza. Just boil them for 4 minutes in boiling water and then plunge them into an ice water bath of cold water and ice cubes in a bowl. I don’t always blanch the broccoli. Start with a premade pizza dough or make one using my easy pizza dough recipe. Roll out the dough onto a greased pizza pan. Lightly brush the dough with some olive oil. Sprinkle some shredded mozzarella cheese on the oiled dough. 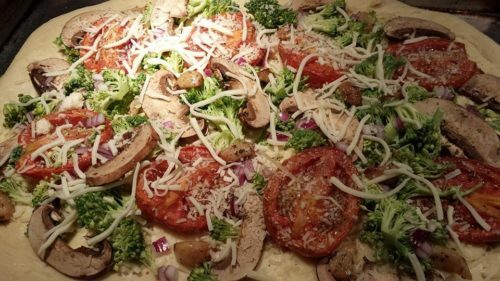 Spread out some broccoli florets, sliced mushrooms, finely diced onion, sliced ripe tomatoes, roasted garlic cloves, and some fresh or dried oregano on the dough. Sprinkle some more shredded mozzarella over the vegetables and add a light sprinkling of shredded Parmesan cheese. Bake the pizza for about 15 – 20 minutes in an oven that’s been preheated to 400 degrees Fahrenheit. When the pizza crust edges are browned and the cheese is bubbling, remove the pizza from the oven. Let the pizza set for a few minutes before slicing. Sprinkle each pizza slice with additional shredded Parmesan cheese and serve! Offer with a side salad and some beer, wine, or your favorite soft drink. 2. 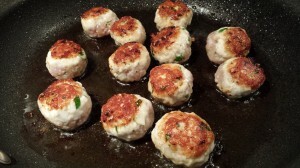 Roll out the prepared pizza dough onto a greased pizza pan or sheet pan. 3. Brush some olive oil onto the pizza dough. Don’t use too much oil, just a light coating. 4. Sprinkle half of the shredded mozzarella onto the pizza dough. 5. 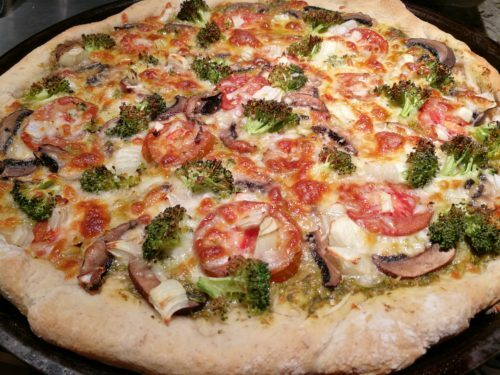 Evenly spread out the broccoli florets, mushroom slices, tomato slices, garlic cloves, and diced purple onion. Sprinkle the oregano over the vegetables. 6. Sprinkle the rest of the shredded mozzarella onto the vegetables. 7. Sprinkle the shredded Parmesan over the mozzarella. 8. Bake the pizza for 15 – 20 minutes or until the crust is a golden brown and the cheese is bubbling. 9. Remove the pizza from the oven and let it sit for a few minutes before cutting. 10. Cut the pizza into slices, plate the slices, sprinkle more shredded Parmesan onto the slices, and serve! Serves 4 hungry diners as a main course. 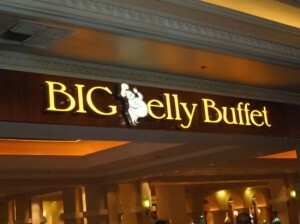 Offer with a Caesar salad and some beer, wine, or soft drinks. Variations: Use different cheeses such as goat cheese, provolone or burrata instead of the shredded Parmesan and mozzarella. Add some pepperoni or sausage for your meat-loving friends. Spread some pesto on the pizza crust before you add the first layer of cheese. You could also use my Roasted Tomato Sauce as a base on top of the pizza crust before you add the veggies and cheese. Use vegan cheese to make this pizza suitable for vegans.